Size of this preview: 800 × 497 pixels. Other resolutions: 320 × 199 pixels | 2,286 × 1,420 pixels. 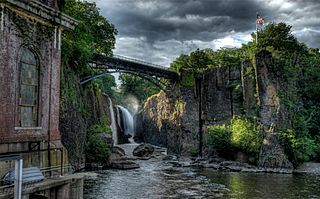 Description: Great Falls of the Passaic River in Paterson, New Jersey. Credit: Own work Modifications from the original upload: watermark removed, downsampled (the original upload was heavily oversampled), a fence at bottom cropped out.